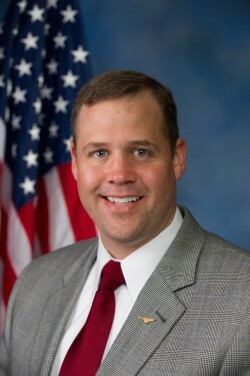 Jim Bridenstine served as a U.S. Navy pilot on active duty for nine years, followed by four years in the Navy Reserve where he achieved the rank of Lieutenant Commander. In 2015 he transitioned to the Oklahoma Air National Guard. He was elected to Congress in 2012 and serves on the House Armed Services Committee and the Science, Space, and Technology Committee. In 2016 he introduced the American Space Renaissance Act. Bridenstine lives in Tulsa, OK with his wife Michelle and their three children. For a full bio, please click here (archived link).